CINCINNATI, OH - Duke Energy today announced the 2014 environmental grant recipients on behalf of the Duke Energy Foundation. Awards were presented to the 14 recipients during a news conference this afternoon at the Cincinnati Nature Center in Milford. 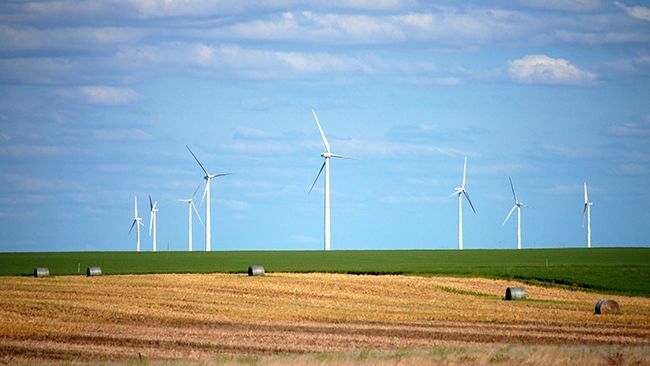 "Duke Energy is recognizing the pride and vision of 14 wonderful organizations in our community that all strive to excel and build a sustainable environment," said Jim Henning, president of Duke Energy Ohio and Kentucky. "Our region is fortunate to have such vibrant green spaces, and the many organizations that commit themselves to environmental awareness and responsibilities as an example for the rest of us to follow."
Introduce an Outdoor Education Center in support of the camp programs at Cub World, which is designed to provide the youngest Scouts (Cub Scouts ages 8-10) with their first exposure to Scouting's outdoor adventure. The purpose of the Outdoor Education Center will be to accelerate the process of experiential learning for these Scouts focusing on conservation, ecology, nature, and the natural world; so that they may begin to develop an appreciation of, understanding for, and interest in these topics and concepts at an early age. It is anticipated that 1,300 Cub Scouts will utilize the Cub Scout Outdoor Education Center during the summer camp season, and that an additional 300 disadvantaged, at-risk youth will participate in programming through Challenge Camp, a Council outreach initiative. An additional 1,500 Cub Scouts will utilize the Outdoor Education Center outside of the summer camp season. As Greater Cincinnati's preeminent center for informal science education, Cincinnati Museum Center is uniquely positioned to join the Duke Energy Foundation in a strategic partnership. The environmental education programming at the Cincinnati Museum Center and many OMNIMAX® films, stimulate awareness and stewardship through interactive, engaging activities for all ages. Building on prior experience and success with the Duke Energy E-Squares Program, Museum Center proposes to connect Duke Energy branding with environmental education programs in all three museums. A grant will support delivery of nearly 6,500 hours of programming a year throughout the multi-museum complex. The goal is to engage the next generation of stewards through environmental education activities in an informal setting. Cincinnati Nature Center is restoring native biodiversity on 75 acres of abandoned agricultural land on its property. The multi-year process began in 2011 and involves removing non-native invasive species and planting native warm season grasses, forbs (broad-leafed, herbaceous plants) and native flowering plants that will attract pollinators. By restoring these abandoned fields, it will create much needed habitat for grassland nesting birds and pollinators, as well as a featured landscape for educational programming that showcases the importance of native grasslands - Ohio's most endangered landscape. The Fall ReLeaf Prorgram is a project that has been offered to city residents since 1988. It helps replace old, dead or diseased trees with new ones and offers residents an opportunity to plant new trees where needed. About 500 trees are distributed each year that are planted on public property (schools, playgrounds, traffic triangles or along the streets). These plantings directly impact private property interests and provide a shade canopy for residents. In addition, it improves property values and, often, reduces home energy costs. (On average, a property owner saves $55 annually in energy costs once they have a tree). In general, about 35 of the 52 Cincinnati neighborhoods benefit from this program. With the influx of deadly insects attacking our urban core trees, the Parks have been faced with cutting them down and finding economical ways to replace these trees. Duke Energy has been an ongoing partner in this program since 2001 and helped plant thousands of trees. Green Up Day provides over 600 volunteers the opportunity to help the local environment and their community park by planting trees, cleaning gardens, removing brush and making our parks beautiful. Matching professional and knowledgeable staff with volunteers provides a life learning experience and helps the parks maintain its infrastructure and cut costs. Thirteen city parks will be "spruced up" by volunteers, some of whom represent local high schools and colleges. With over 5000 acres of land under the Cincinnati Park Foundation jurisdiction, the ability to engage community volunteers to help prepare its parks for spring, summer and fall use, is an enormous help to Cincinnati Parks. This grant from Duke Energy will provide necessary equipment and plant materials to assist with the proper clean up and preparation of 13 of our park spaces. Cincy Bike Share is creating a 260 bike, 35 station bike share system in the Downtown, Over-the-Rhine, and Uptown areas of Cincinnati. The system will launch in September 2014. Bike share is a convenient, low cost, green, and healthy transportation system that will add to the vitality of Cincinnati and increase mobility for residents, workers, students, and visitors. River Research, Education and Adventure Charters connect students in grades 4-12 to the Ohio River through hands-on, voyages of discovery aboard Queen City Riverboats. While on-board, students test water quality using the same methods as scientists who monitor and protect our river. They also see firsthand how they depend on the river while discovering beauty and wildlife that surrounds them in the most unexpected places. The experience gives students a sense of place in their watershed and an understanding of the challenges that need to be addressed in protecting a resource that literally runs through the lives of millions of people. The program engages students in applied STEM (Science, Technology, Engineering and Math) disciplines through hands-on water quality monitoring, habitat assessments, and studies of aquatic organisms, including fish and macroinvertebrates. 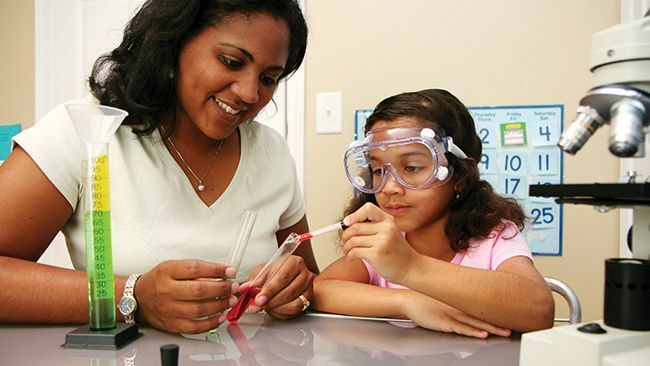 The curriculum was developed with representatives from local agencies, schools, and universities to meet science standards in Kentucky, Ohio, and Indiana. We seek funds to enhance and increase public education and awareness regarding the tree crisis due to the emerald ash borer and other serious threats to the unique tree canopy in the area. The region's council of governments, green industry, university extensions, state urban forestry, educational and non-profit institutions, urban forest managers, arborists, concerned citizens and others have responded to the EAB threat by committing to public education and reforestation programs. However, due to the severity of the threat, the coalition needs to expand its outreach efforts. Specific needs include marketing, media, editing, graphic design expertise and other needed resources to create support materials and increase educational programs. The funds would be directed to coordinate targeted outreach events and produce and distribute educational materials that will reach all demographics of the Tri-state region. These materials include videos, fact sheets, the Civic Foresters program and other resources. The Mill Creek Greenway Trail project includes public outreach, planning & materials/equipment for Phases 4 & 5 of the Mill Creek Greenway Trail. Creating & replacing 8 environmental education signs. This wetland project will serve as a model for restoring additional wetlands within the Mill Creek corridor. In addition, it will provide a living laboratory for environmental education. In Keep Cincinnati Beautiful's extensive work with Cincinnati Public School (CPS) students, it became evident that many students and staff have limited knowledge of environmental topics and the school district as a whole, lacked the implementation plan necessary to grow green environmental stewardship. Sustainability in Action (SIA)addresses this lack of environmental knowledge by teaching students and staff to understand the importance of environmental stewardship, its economic advantages and improvement in one's quality of life. Teaching children to use resources wisely and practice daily green behaviors will have a positive impact on their health and wellbeing, the City of Cincinnati and the environment as a whole. CPS consists of a largely urban and underserved population who will be the future citizens of our city. For lasting change, there's no better place to start than within our schools! The Duke Energy Inter-University Case Competition is designed to help Duke Energy in its mission to improve, grow, and reduce its impact on the environment. The program involves high-caliber university students (both undergraduate and graduate students) competing against student teams from their own schools (in the fall semester) and against other schools (in the spring semester) over the entire academic year to develop actionable solutions to the case year's given problem. The Urban Stream Renewal in the Mill Creek Watershed Program funds broad implementation of a suite of restoration and storm water management demonstration projects throughout the Mill Creek Watershed in partnership with community, corporate and government partners. The proposed program is designed to drive permanent behavior changes in land use decisions, foster stewardship of shared water resources, and generate investment in the Mill Creek Watershed. The Urban Stream Renewal in the Mill Creek Watershed Program includes eleven projects in eight different communities demonstrating nonpoint source pollution management and stream and wetland restoration techniques, project maintenance and monitoring, long-term adaptive management, and a comprehensive education and outreach program. Target audiences include residential, business, and municipal landowners; elected officials; public works and maintenance staff; and city and village administrations. In this proposal, the Cincinnati Zoo requests a grant to support the creation of a new Aquatic Health Laboratory (AHL). The AHL will be the heart of a Life Support Systems program now getting under way to ensure that all bodies of water in the Zoo (e.g., Elephant pool, Manatee tank, Polar bear tank and pools, Lion moats, Penguin pools, future Hippo pool) operate at peak efficiency and provide the highest standard of living conditions for our animals, many of which are endangered. In addition to improving water quality for the animals, a proper testing laboratory will help reduce the number of times our pools and tanks need to be dumped and refilled, leading to major savings in quantities of water used. 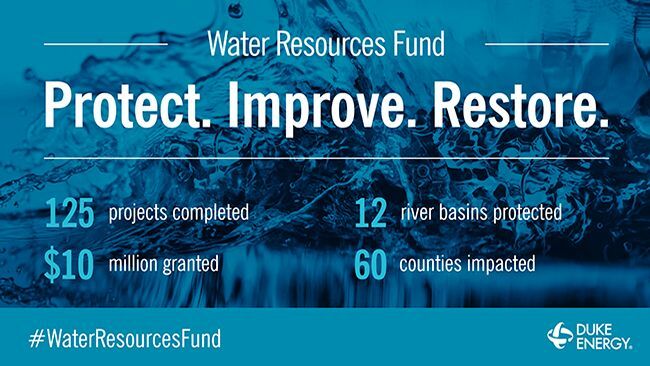 This program aligns well with two of Duke Energy's environmental funding priorities: programs designed to enhance the protection of water-quality or water-related resources, and programs designed to enhance the protection of endangered/threatened species. Duke Energy Foundation makes charitable investments on behalf of Duke Energy, the largest electric power holding company in the United States with 7.2 million customers in six states. Over the foundation's long history in local communities, it has identified focus areas that maximize the foundation's dollars and guide the foundation's giving. The foundation makes grants supporting the environment, economic development, education and community vitality. In North Carolina, Duke Energy Foundation invests $16 million annually for community support and charitable contributions. In 2013, the foundation will make an additional one-time commitment of $20 million to support low-income energy assistance and workforce development in North Carolina. To learn more about Duke Energy Foundation, visit www.duke-energy.com/community.